In the cold seasons I just want to cuddle up in my blanket and pillow, but sadly it is kinda difficult to bring your blanket or pillow to work or on the bus. So when even sweatpants aren’t an option anymore the faux fur jacket is the next best thing to throw over. Ok, I know that the faux fur jacket is probably not everybody’s cup of tea, however, the main reason I love it is because it’s a great layering piece and the perfect way to get through the colder seasons comfy, warm and stylish. The faux fur jacket I’m wearing was a real bargain I made one year ago in the Zara sale. I would even go that far to call it the best bargain I’ve made yet! So now that I finally gained the courage to wear whatever I want , the way I want it, wherever and whenever I feel like it I’m finally able to express myself through my style. Therefore this jacket is the perfect rookie to become bolder in a fashionable sense. Eventually I can introduce you to my new spiky companion! I had an eye on these boots for a very long period of time and now I can finally call them mine. I recently cought them on sale for half of the original price and bought them in a heartbeat. So I can sleep deeply at night again instead of rummaging through the internet on the search for a more favorable alternative and self defense device. 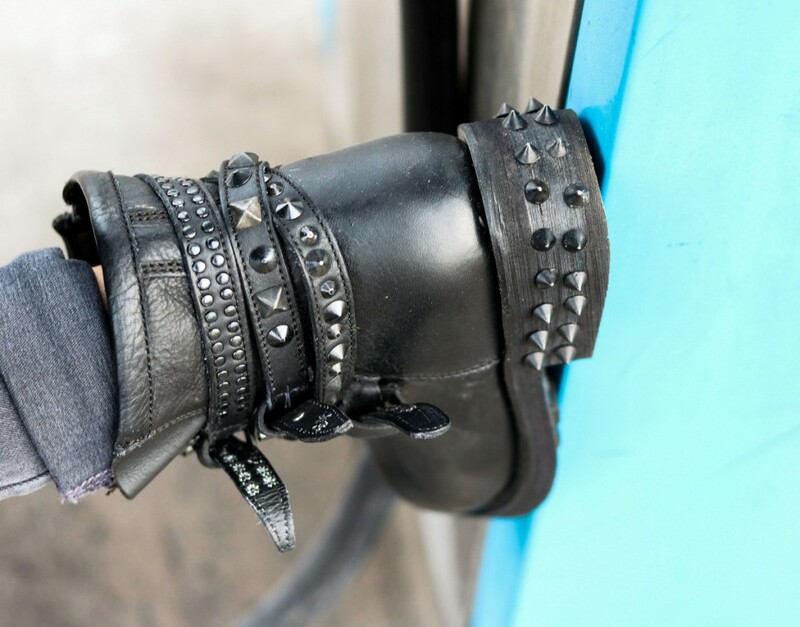 Because the boots do not only look dangerous they really are super spiky, so you better don’t step on my feet! May I should consider getting a gun license for these secret weapons? To give the outfit a classic touch and to balance out the rather girly braids I styled the faux fur jacket with a classic by Louis Vuitton the Speedy 35. Is there actually any piece of clothing or even outfit this bag doesn’t compliment? I guess not. 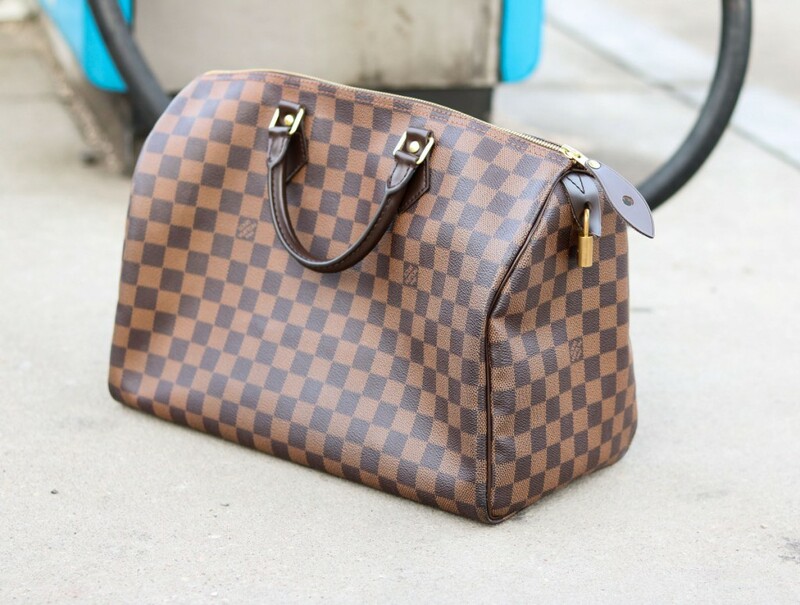 But did you knew that the Speedy was the first handbag created for everyday use by Louis Vuitton? Moreover the bag in size 25 was indeed specifically created for Audrey Hepburn. Besides having a long and interesting history the speedy is also kind of indestructible. Honestly it has already gone through so much with me and still looks brand new! 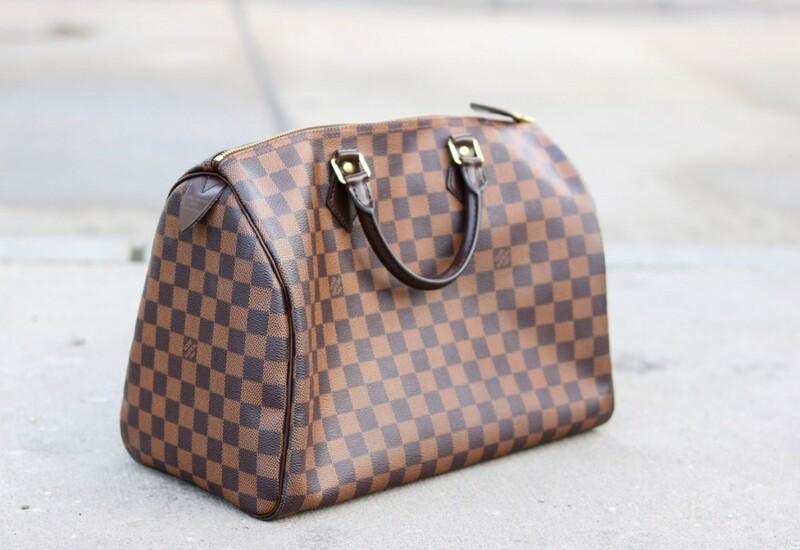 To put it in a chestnut the speedy is the perfect all rounder and investment piece at the same time. In thirty years the bag might have increased her worth so much, that I can pay my long-awaited vacation on costa rica ,from the sale of the bag, and finally get to hug a sloth while I’m already there. I mean who knows? The fashion industry is crazy.